Yusfiyanto is a partner with the White Collar Crime Practice at Rajah & Tann LLP. He was called to the Singapore bar in 2003 and joined the firm’s Commercial Litigation Practice Group in 2011. With over a decade of practice in criminal litigation, Yusfiyanto has amassed considerable experience in criminal defence work. He specializes in financial and economic crimes, corruption and regulatory offences. Over the years, he has acted for clients in criminal and enforcement proceedings at State Court and High Court level, in hearings, trials and appeals. Yusfiyanto regularly acts for companies and businesses prosecuted for regulatory offences by various government agencies. Outside of court proceedings, Yusfiyanto provides advisory work and services to companies and businesses. He advises clients in investigations into fraud, misappropriation of assets and funds, anti-corruption practices, disclosure obligations and regulatory and compliance matters. 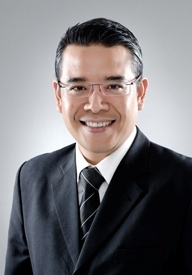 Yusfiyanto’s broad range of criminal practice extends to ‘blue’ collar crime cases, including representing clients in capital offences in the High Court. Apart from defence counsel work, he conducts private prosecution proceedings on behalf of individual and corporate clients. Yusfiyanto is on the Supreme Court of Singapore’s panel of assigned counsel in Legal Aid Scheme For Capital Offences (‘LASCO’). He is also a committed volunteer for the Subordinate Courts Criminal Legal Clinic and the Law Society of Singapore Criminal Legal Aid Scheme (‘CLAS’). In the course of his private practice, Yusfiyanto also garnered experience in commercial and matrimonial litigation, including Syariah matters. Advising and representing foreign parties in relation to the release of USD42.5 million in bank accounts seized by the Commercial Affairs Department (‘CAD’) under the Criminal Procedure Code (‘CPC’). Advising a publicly listed company in Singapore in relation to investigations of fraud committed against its Indonesian subsidiary and reporting and disclosure obligations to Singapore Exchange (‘SGX’). Advising a shipping company in respect of investigations over fraud and dishonest misappropriation of over USD1 million by its senior employees. Successfully resisting an extradition request from the United States of America in highly contentious and complex extradition proceedings. Representing a foreign trading company in relation to the release of over USD400,000 in a bank account seized by the CAD under the CPC and Corruption, Drug Trafficking and Other Serious Crimes (Confiscation of Benefits) Act (‘CDSA’). Representing a director of an established IT company who was prosecuted for numerous cheating offences committed against a financial institution, involving over SGD2.5 million. Representing a director-shareholder of an established construction company who was prosecuted for breach of director’s duty and numerous charges of falsification of accounts relating to transactions worth over SGD1 million under a credit facility. Representing a director of an import and export company who was prosecuted for cheating a financial institution of USD500,000. Representing the assistant general manager of a well-established club who was prosecuted for misappropriating club funds amounting to over SGD$500,000. Representing a former director-shareholder of a leading metal fabrication company in criminal prosecution for corruption offences. Representing a grassroots leader with a distinguished public service record who was prosecuted for misappropriating grassroots funds. Advising the managing director of a private educational business group in a rare prosecution under the Multi-Level and Pyramid Selling (Prohibition) Act. Representing a regional subsidiary of a foreign government linked company in prosecutions by a government agency. Representing a major Asian construction and engineering company prosecuted by a government agency for offences under the Work, Health & Safety Act (‘WHSA’). Representing a company in one of the first prosecutions by a government agency for exportation of hazardous materials under the Hazardous Waste (Control of Export, Import and Transit) Act. Representing sole proprietors of licensed moneylending businesses who were prosecuted by a government agency for numerous offences under the Moneylenders Act and Moneylenders Rules. Representing individuals detained without trial under the Criminal Law Temporary Provisions Act (‘CLTPA’). Representing individuals in the much publicized online vice ring cases.